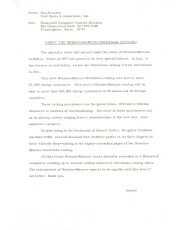 The Computer Church: The Kitchen Computer Press Release #2. 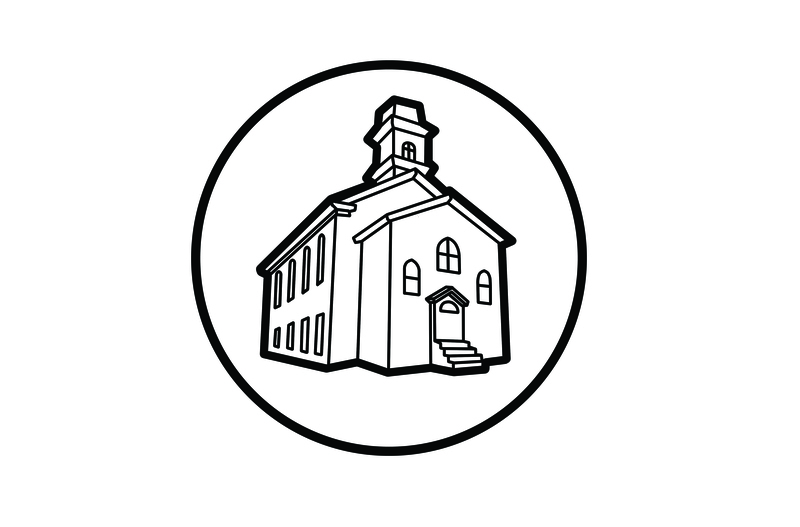 PUBLISHER: Carl Byoir & Associates, Inc. 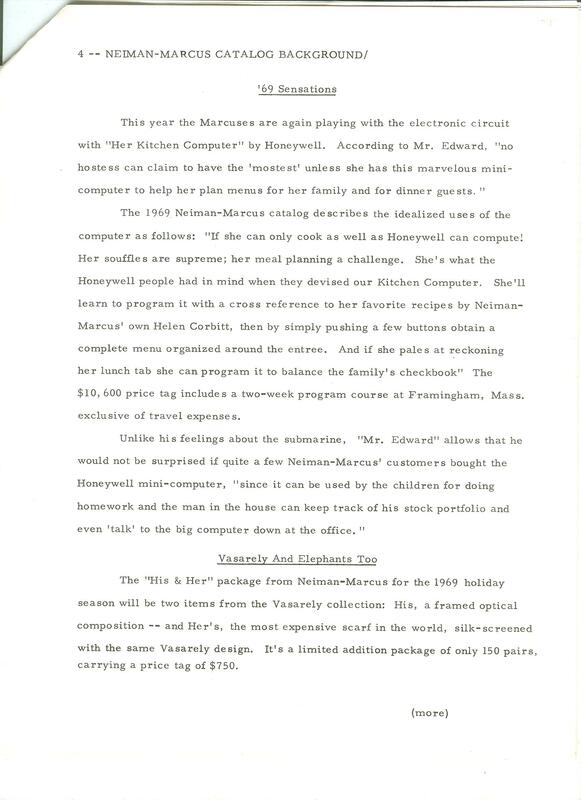 This item is an original press release that was sent out to announce the Neiman-Marcus Christmas catalog for 1969. 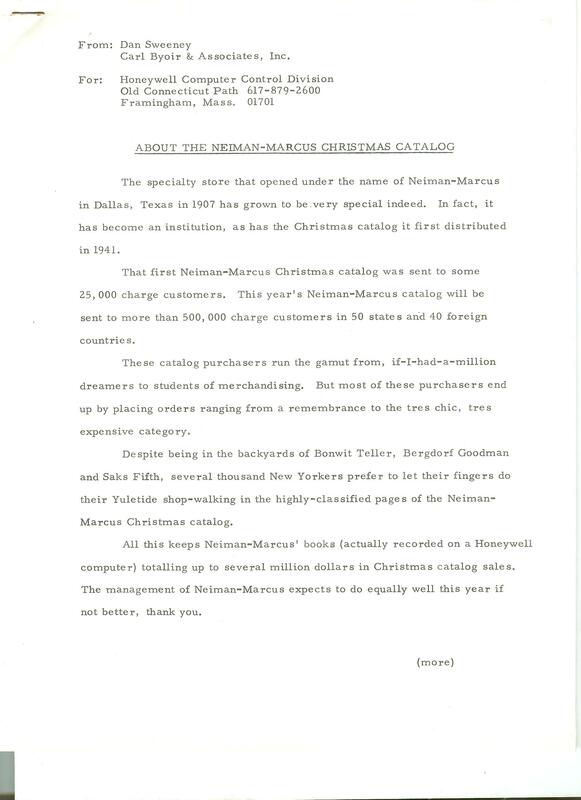 The press release is entitled, "About the Neiman-Marcus Christmas Catalog" and is five typewritten pages long. The release was written by Dan Sweeney who was a consultant for both Honeywell Information Systems and Carl Byoir & Associates in 1969.